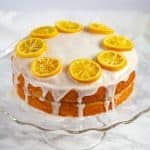 A classic English Madeira Cake: simple, sweet, and tart lemon cake with lemon glaze and candied lemons adapted from The European Cake Cookbook. Every year The Cake Slice Bakers bake from a different cookbook. 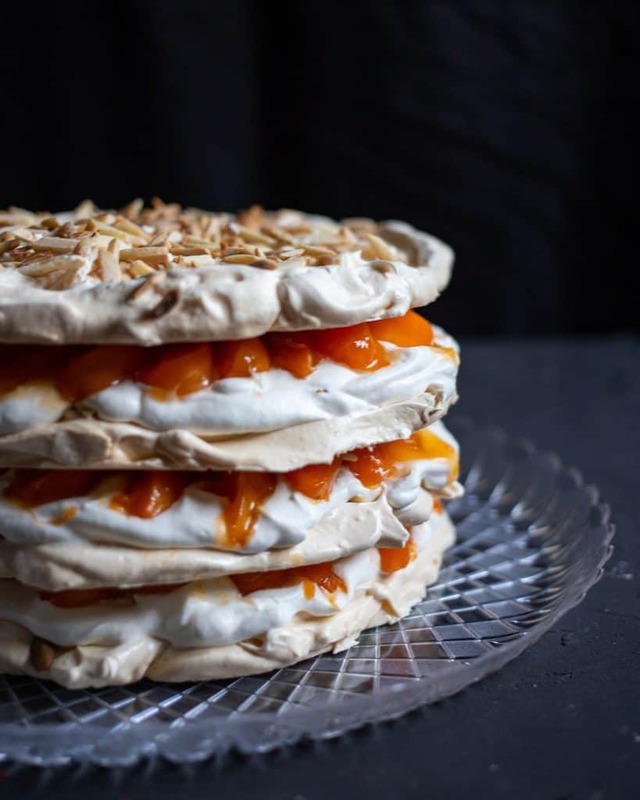 Our 2019 cookbook is The European Cake Cookbook by Tatyana Nesteruk. I loved our 2018 book, The Perfect Cake from America’s Test Kitchen, and am excited for the new challenges to come in 2019. This month I chose a Madeira cake for my monthly bake: a classic English lemon-flavored cake often served for afternoon tea. I served this cake at a brunch celebration with my family and it was perfect! 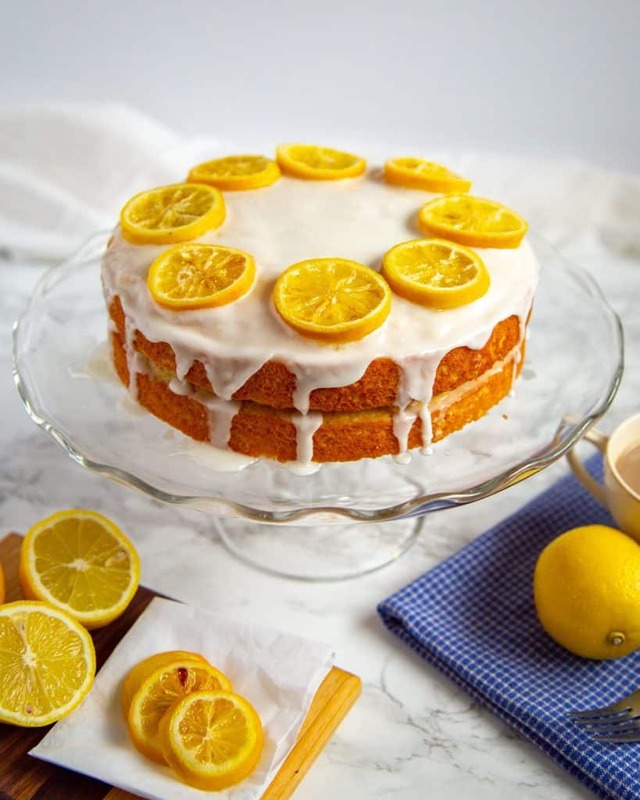 The sweet lemon-sugar glaze perfectly offset the tanginess of the lemon zest and candied lemons and the texture was light but still hearty and delicious. I would definitely make this recipe again. This cake is actually pretty simple to make! First preheat the oven and prep your pans by adding parchment paper to the bottom of two 8-inch round cake pans, and spray with cooking spray. Then cream some butter and sugar in a large mixing bowl. Mix in eggs, then add lemon zest, sour cream, baking powder, and salt. Gradually add in the all-purpose flour and whole wheat flour (I used whole wheat in place of the almond flour since my grocery store was out of almond flour) until just combined. Divide the batter between the two cake pans and bake for 30 to 35 minutes. While the cake is baking, make the candied lemon slices by mixing together sugar and water in a large nonstick skillet. Heat over medium heat until the sugar is dissolved then add the lemon slices in a single layer. Continue cooking over medium heat until the lemons are translucent – this took about 10 minutes for me. Place the candied lemons on a wire rack to cool and save the lemon-sugar mixture. When the cake is done, remove the cake pans and allow to cool in the pans on a wire rack. 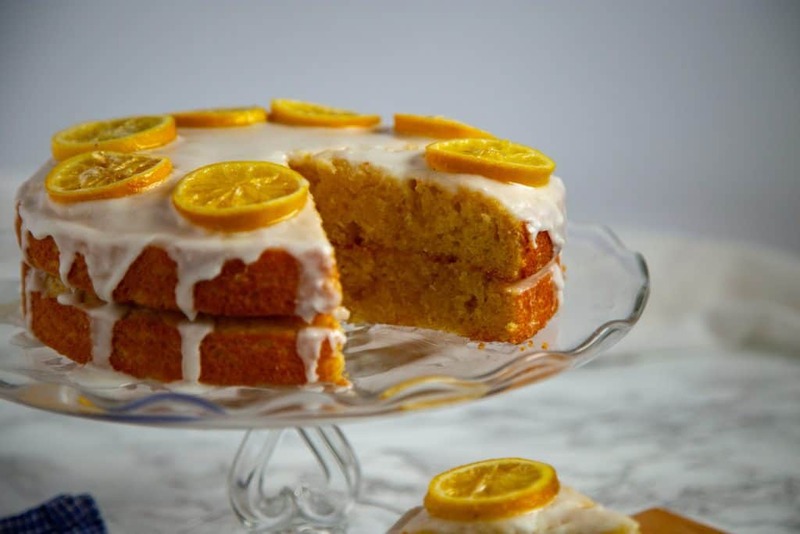 When the cakes are relatively cool, remove from the pans, poke the tops of the cakes gently with a toothpick and drizzle the lemon-sugar mixture over the top. Prepare the lemon glaze by mixing together the lemon juice and powdered sugar. 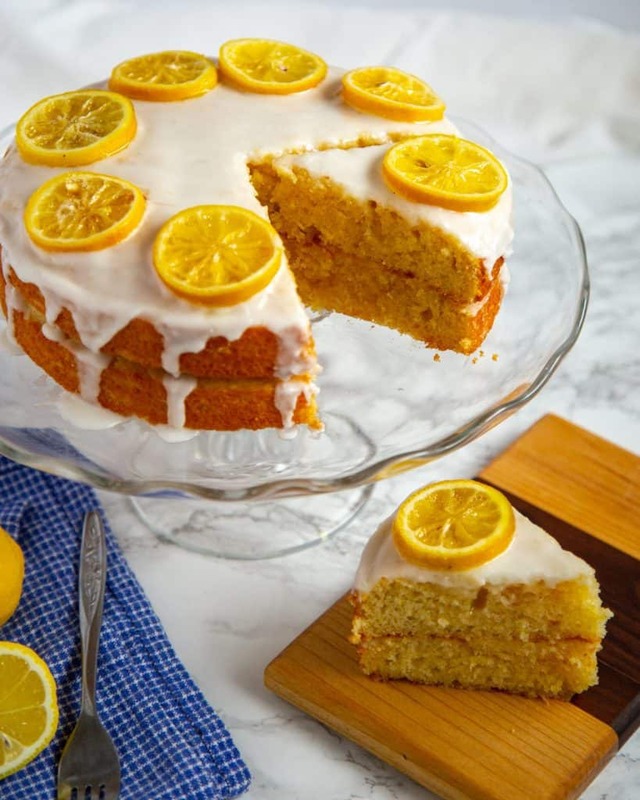 Place one cake on your serving platter and cover with half of the lemon glaze. Then place the other cake on top of the first and pour over the rest of the lemon glaze. Top with the candied lemon slices and serve! Preheat the oven to 335 degrees F. Line two 8-inch pans with parchment paper and spray the pans with cooking spray. Add the butter and sugar to a large mixing bowl. Mix over medium speed until well combined. Then add the eggs, one at a time, stopping to scrape the sides after each addition. Add the lemon zest, sour cream, baking powder, and salt and mix until just combined. Gradually add the flour to the mixing bowl and mix until the flour is just combined. Divide the batter between the two pans and bake for 30-35 minutes until done. Cool the cakes on a wire rack. While the cakes are baking, prepare the candied lemon. Add the sugar and water to a large nonstick skillet and heat over medium heat until the sugar is dissolved. Then add the lemon in a single layer and cook until the lemon becomes see through, about 8 to 10 minutes. Move the lemon slices to a wire rack and reserve the lemon-sugar syrup. When the cakes have cooled, remove them from the pan, poke the tops with a toothpick and drizzle over the reserved lemon-sugar syrup. 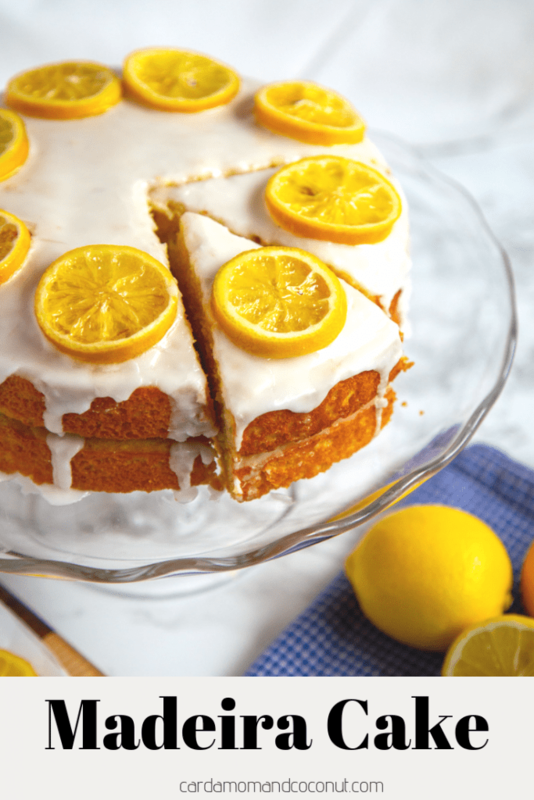 Mix up the lemon glaze by combining the lemon juice and powdered sugar until the desired consistency. Place one cake on your serving platter. Drizzle with the half of the lemon glaze. Place the other cake on top and pour over the rest of the lemon glaze. Place the candied lemons on the top and serve. Original recipe from The European Cake Cookbook by Tatyana Nesteruk. I am excited that we are all starting our new book. Your Madeira Cake turned out perfectly – so pretty. Beautiful – great photos and looks so good! Your cake turned out beautifully! Great photos too. This is so pretty and your pictures are very pretty. I just know we’re going to have lots of delicious fun with our new book. 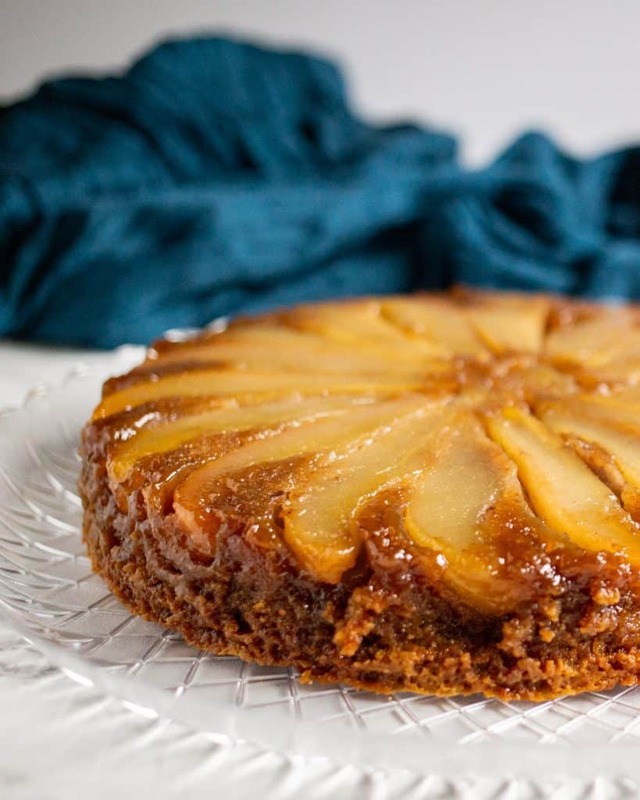 A classic for a reason and your cake looks so moist and delicious. The crumb with whole wheat flour seems moister than with the almond flour. Very pretty and perfect for a family brunch! 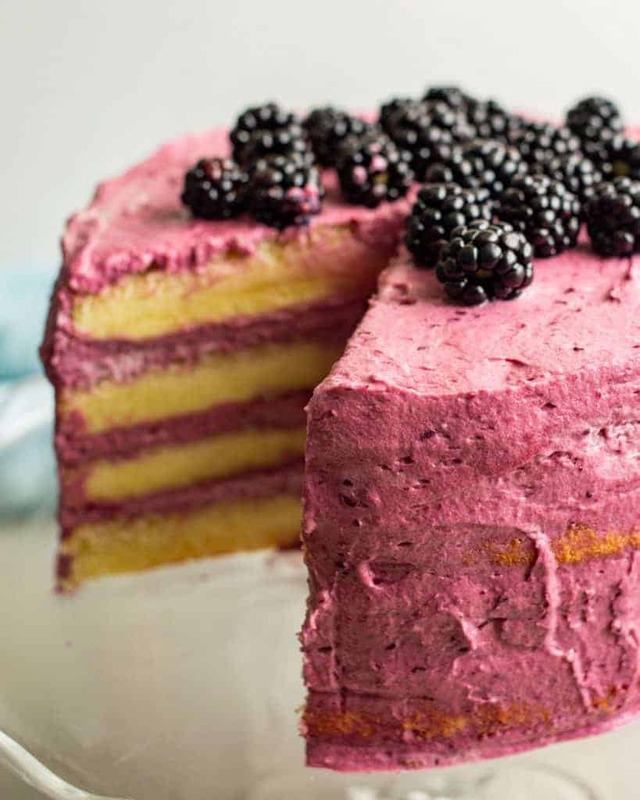 Your cake looks like the perfect dessert! I can’t wait to try it. Your cake looks so pretty and I bet it was delicious!